The Dominoed Daredoll finally hits shelves — and was worth the wait. 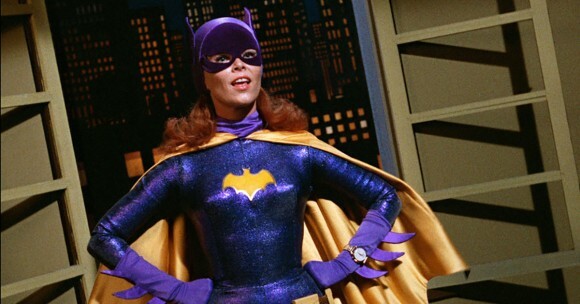 Yvonne Craig was late to the merchandising deal that led to this second Golden Age of Batman ’66. The reasons for that will in all likelihood remain open to interpretation. Sadly, Ms. Craig isn’t here any longer to tell us her thoughts. 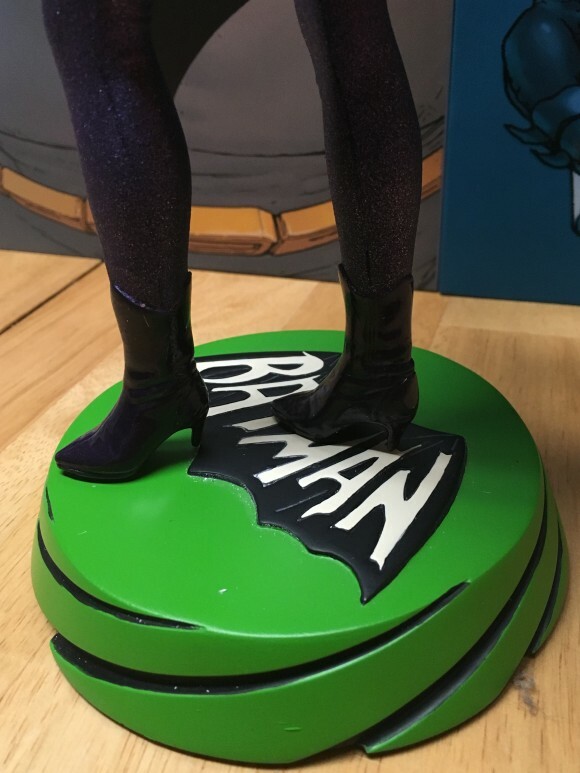 But she does live on in another round of top-notch Batgirl memorabilia. 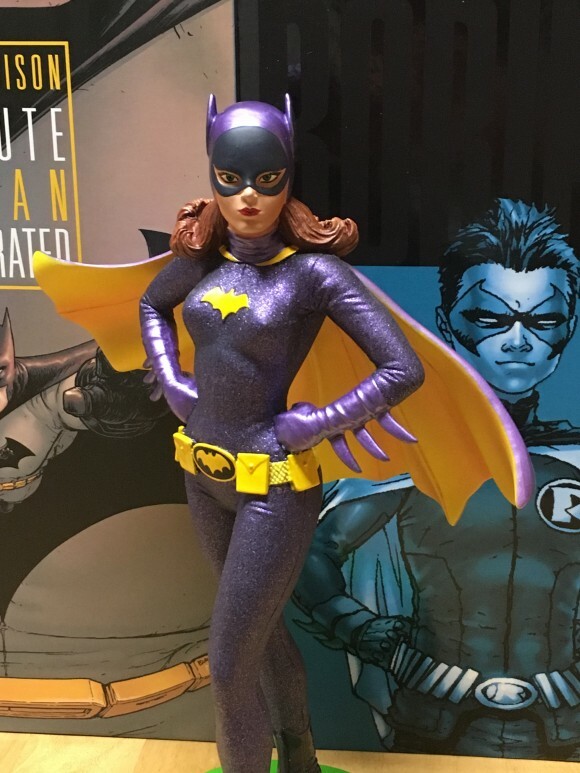 Diamond Select Toys is first to shelves on the high-end front with this Premier Collection resin statue. 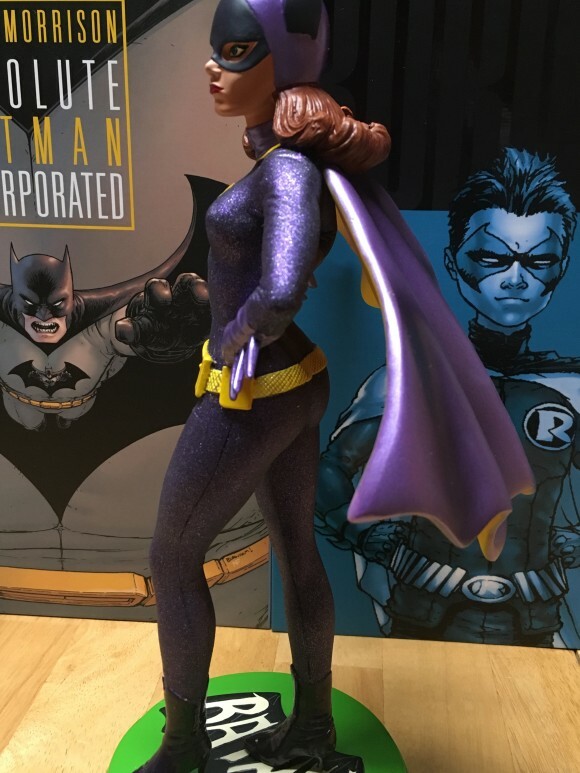 The statue was first shown at last year’s Toy Fair, nearly 13 months ago. She was originally slated for a late 2015 release but was delayed for reasons unclear. 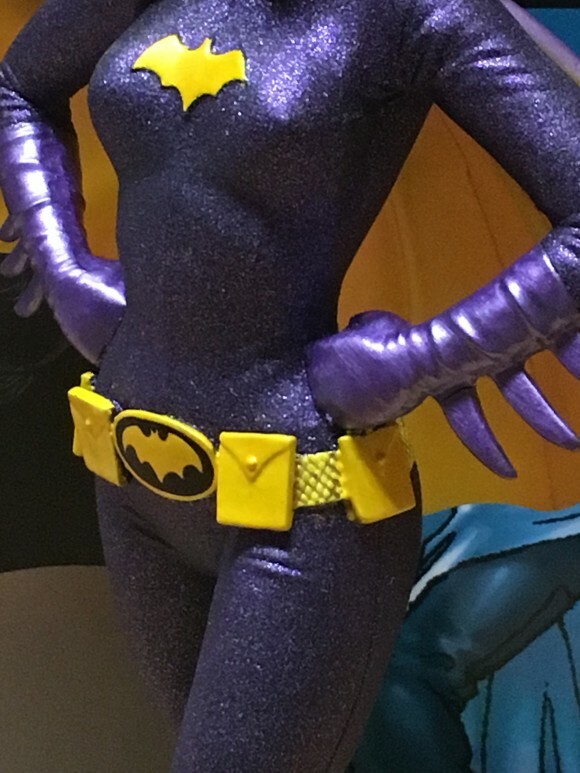 I like the pose and the way her jaw is set — perfectly capturing Craig’s attitude in the role: She’s always ready for action. 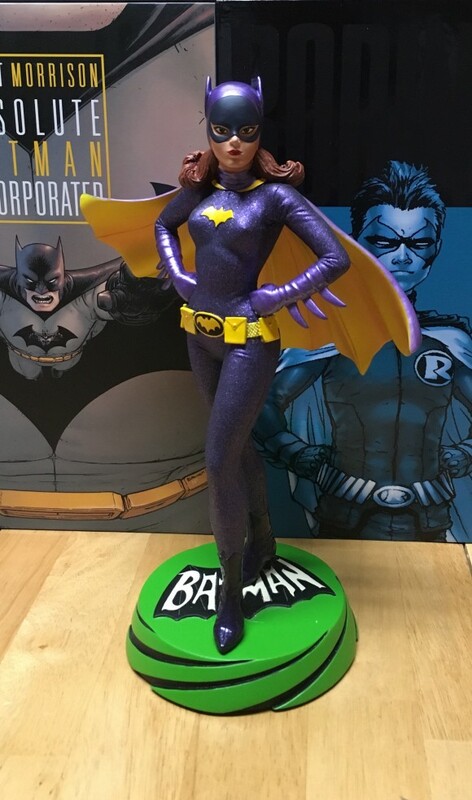 Now Batgirl isn’t cheap: She carries an SRP of $150, though if you shop around, you’ll find her for less. 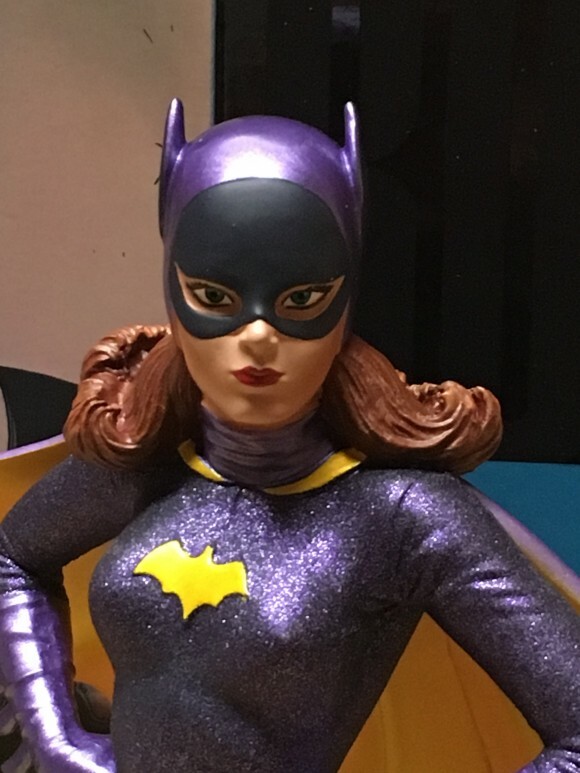 Comparatively speaking, though, she’s a more cost-effective choice than a competing model due out soon from a different manufacturer that is selling for at least $250 online. So with Diamond, you can have your cape and wear it too.